Abacus Architects are delighted to announce that from 1st February 2016 Robert Jessop has become a partner within the practice. 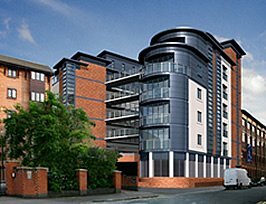 Abacus Architects LLP is an RIBA Chartered Practice based in the Jewellery Quarter of Birmingham. The practice has been in existence for 19 years, and our people are our most important resource having been responsible for a wide range of projects across the UK. So, if you're looking for a Birmingham Architect, we're here to help. We benefit from an inclusive organization where our people are encouraged to contribute to the development of the practice in terms of its philosophy and its skills. Our strength as an organization is built on the skills and mutual support of all members of this practice, sharing their experience and expertise.